The purpose of the Power User Program is to reward those who provide crucial feedback and reviews of our products. By seeing through the eyes of our customers, we’re able to provide better products and better service. To become a HomeSpot Power User, simply fill out the form below, click “submit” and our team will get in touch with you soon. Power Users can apply for a free HomeSpot product to review and keep up to 5 times every year (12 months from first product request). Selections will vary to reflect our product focus, but Power Users may choose according to their own interest – there is no obligation to receive or review an undesired product. 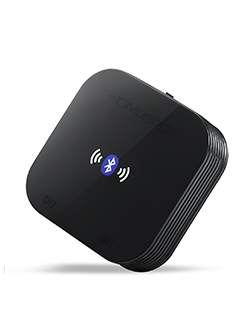 Power Users also receive regular exclusive discounts on HomeSpot products. Power Users will occasionally have the opportunity to get bonus gifts after helping us complete surveys. At HomeSpot, we strive to design our products from a consumer perspective with a commitment to constant improvement. The Power User Program was created so we can more directly engage with users to learn how we can do better. Particularly for our new release products, we offer a limited supply of free test samples in exchange for early feedback. This feedback helps us better gauge market response and get a head start on any areas that might need improvement. 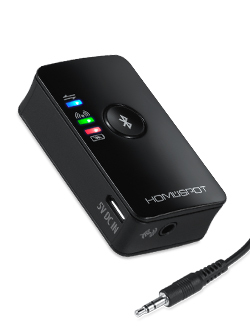 We also encourage Power Users to share their reviews publicly to help inform prospective buyers about what they can expect from new HomeSpot products. Power Users are expected to test and provide detailed and unbiased feedback on the test sample within one week of receiving the product. If circumstances prevent a Power User from providing timely feedback, they are expected to provide advanced notice. Otherwise, delayed feedback may impact eligibility to apply for future HomeSpot products. Power Users are expected to help us by completing surveys that help us improve our products and brand image. If in need of assistance during the testing, Power Users are encouraged to contact our customer Customer Services team (cs@HomeSpotDigital.com) directly. Applicants must reside in one of the following countries: the United States, the United Kingdom, Germany, Canada, France. HomeSpot maintains full rights to judge and determine an applicant’s acceptance into the Power User Program. Log into your HomeSpot Digital account. Click “POWER USERS PROGRAM” at the top of the page..
Click “APPLY NOW” to participle in the program. You will receive a email notification from cs@HomeSpotDigital.com within 5 business days. Please note that you may only review one product at a time. 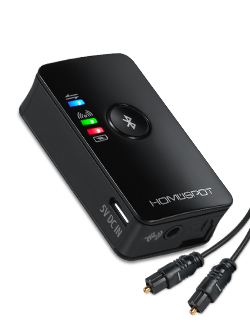 If a product has limited compatibility (such a specific cell phone or laptop model battery), we will contact Power Users who have related device by email. So to receive more customized updates, please indicate your preferences, interests, and relevant devices in your application. Power Users who miss the chance to review any HomeSpot products for 3 consecutive months can directly email cs@HomeSpotDigital.com under the title “Power User - Product Waiting List Request” to be placed on the review waiting list.